Welcome to Escape Hair & Therapy. Escape is a unique Hair & Beauty Salon in Bleadon on the edge of Weston-s-Mare. Our philosophy is to offer the best and to be the best. 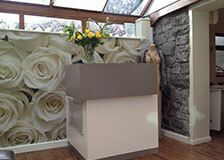 We are always looking to the future and keep our staff up to date with the latest trends, styles and treatments. We work hard so you dont have to. 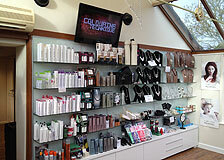 The salon has free wireless internet throughout as well as a tablet PC for your convenience. NB: Opening hours are subject to change. To ensure availability please contact us. 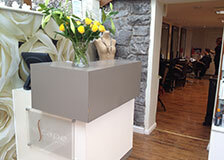 Escape hairdressing and beauty therapy salon is situated just outside of Weston-super-Mare, approximately 4 minutes drive from Weston General Hospital. We are also close to Lympsham and Brean. Click here for a more detailed Google map. Due to the increasing number of clients on our waiting list we would appreciate at least 24 hours notice of cancellation as this gives us the opportunity to contact others who are waiting. Please could all clients use the parking areas provided.